Hello! I have an issue. I've just downloaded the GitHub version, which I thought works, same for module manager. The issue here is, I have only some of the parts, and the few that do pop up don't work. The version is 1.5.1. Nothing of the BDArmoury section is working, and the mod tab that I saw in the KSPedia is not there. Help...? got a question . is this compatible with BDA addons ? I added the mod and none of the parts showed up after I researched all the parts.....in career mode. 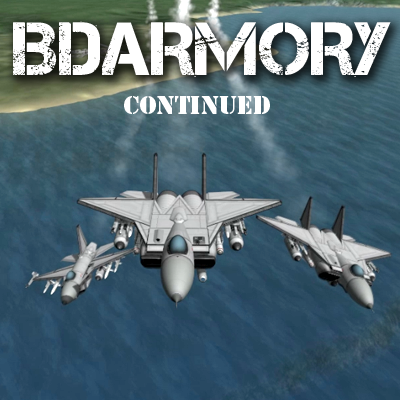 BahamutoD has taken a leave of absense and requested that his mods be continued, so the BDArmory Team is pleased to announce BDArmory Continued! Installation : Copy the BDArmory folder from the zip file's GameData folder into your GameDatafolder.